Lenovo-owned Motorola has launched a new flagship Moto C Plus smartphone in India for Rs 6999. With the launch of this device, the company targets those budget Android user who wants better Android experience at a pocket-friendly price point. The smartphone will be available to purchase exclusively via Flipkart starting from today 12 noon. It comes along with a bunch of offers such as Jio Prime subscriptions and a Motorola Pulse Max headphone that would cost only Rs 749, which originally cost Rs 2499. 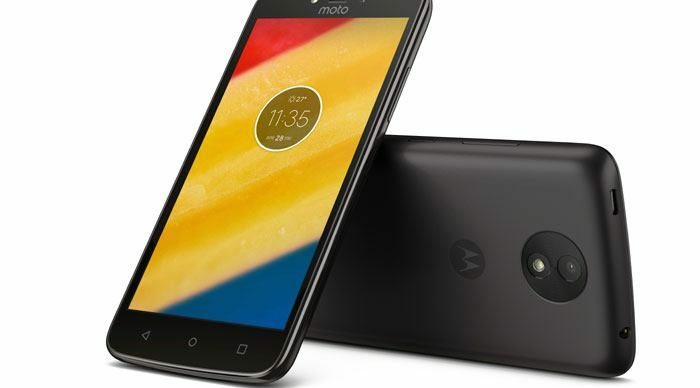 It is worth to mention, the device was unveiled in the last month during the launch of Moto C in India that cost Rs 5,999. Just to recall, Moto C Plus features a 5-inch IPS HD display and is powered by a 1.35Ghz quad-core MediaTek MT6737 chipset. It has 2GB RAM along with 16GB onboard storage, which can be further expanded up to 32GB via microSD Slot. It is backed by a larger 4,000 mAh removable battery with Rapid Charger feature. On the imaging front, the smartphone comes with an 8MP rear camera with an aperture of f/2.2, 1.12-micron pixels and an LED-flash while on the front there is a 2MP camera for selfies with a wide angle lens and a LED flash. All the basic connectivity options such as 4G VoLTE, dual SIM card slots, Wi-Fi, Bluetooth and 3G are available with the smartphone. The smartphone comes in three color variants – black, White, and Gold. The company has launched Moto E and Moto E Plus in this price range in the US a few days ago. However, there is no information available yet for India launch.